Winvic were contracted by LXB Retail Properties, to design and construct this prestigious retail and leisure destination. 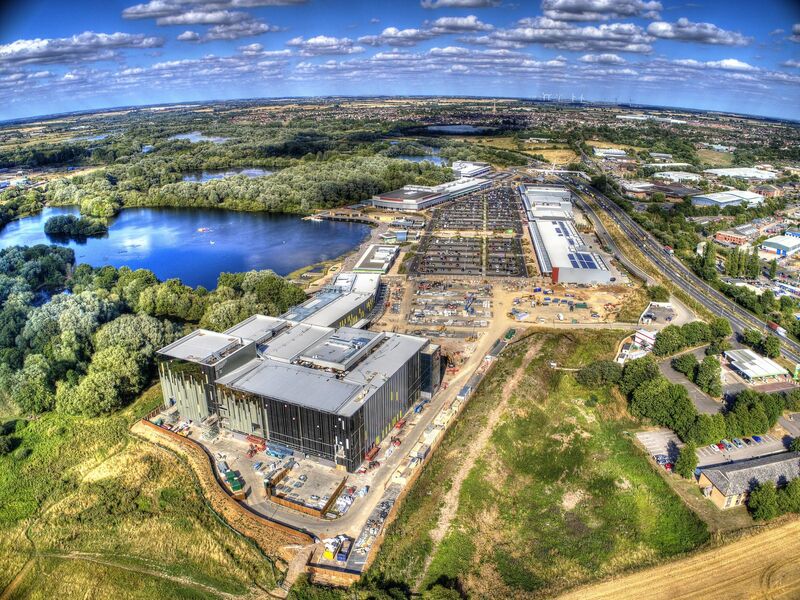 As well as 380,000 sq ft of shopping space across three retail terraces, Rushden Lakes offers many other attractions including, waterfront restaurants, a Boathouse operated by Canoe2 and a lakeside Visitor Centre managed by The Wildlife Trust. Extensive external hard and soft landscaping works included a boardwalk deck, wet play area, refurbishment of Bailey Bridge and public footpaths within the SSSI (Site of Special Scientific Interest) area, car parking, street furniture and central feature rhyl. The development also included highways works and associated external works at the 1km-long site next to the A45. 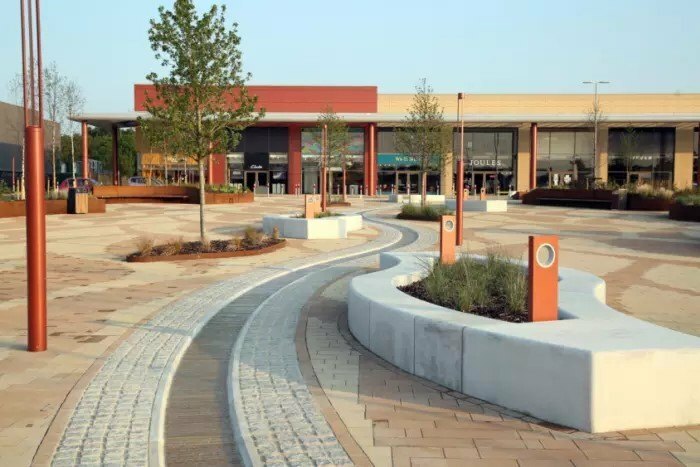 Winvic have also been contracted to deliver the second phase of the scheme, one of the UK’s largest out-of-town schemes of its kind, confirming our reputation for delivering high-profile retail and leisure projects. View our project-profile video to see the story of the development so far. View the timelapse footage of Rushden Lakes to see the construction of Phase 1 of this unique retail and leisure development. 380,000 sq ft of retail units across three terraces. Waterfront restaurants and Boathouse operated by Canoe2 providing water-based facilities for community use. A lakeside Visitor Centre managed by The Wildlife Trust for exploring cycle routes and walking trails which connect the shopping centre to the local towns, villages, and Nene Wetlands. Fully fitted-out net zero carbon emission buildings: Boathouse, Visitors Centre and Management Suites. External feature works associated with lakeside position and SSSI to include installation of a Canoe Portage, pontoon, wet play area and refurbishment of Bailey Bridge. 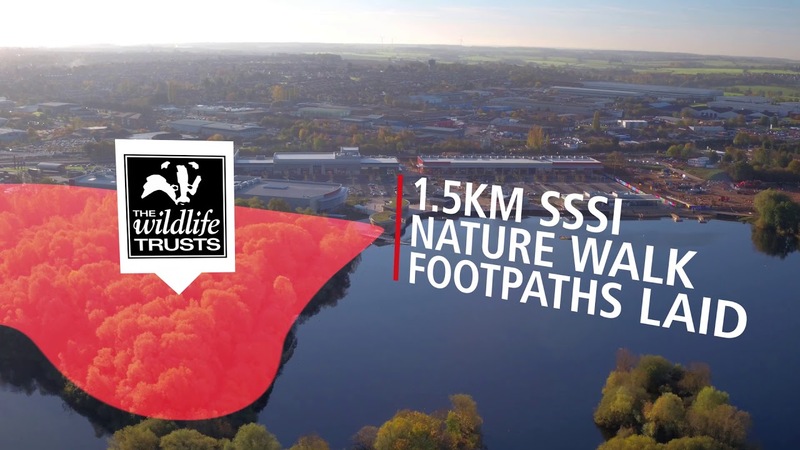 Working in collaboration with The Wildlife Trust due to ecological considerations and restrictions and the laying of 1.5km of nature walk footpaths, working in close proximity to SSSI. 25,000m3 of material moved in earthworks to accommodate flood alleviation measures. Installation of 6000m3 of below-ground, surface water drainage attenuation tanks, to facilitate future phases. Requirement to thrust bore under live A45 carriageway for foul drainage and new statutory services infrastructure and connections. Realignment of the old A45 road which now forms the rear service access road. On-site road construction to tie in with S278 Highway works. Cement stabilisation / capping replacement to re-use existing materials onsite and to minimise need for importing materials. Combination of PCC driven, stone replacement and steel piles to terrace units and restaurants. Combination of steel and Glulam frame buildings and 6000m2 steel frame, timber deck boardwalk. Duraclad, stone cladding and facade finishes and curtain walling to retail units and restaurants. 66 week project duration including early access fit-out at 37 weeks. Interface and liaison with up to 35 separate retail fit-out contractors required.